The product of a dream and outstanding technical achievement, the colours in Maimeri’s Puro line are the most advanced and yet the most traditional of oil colours. Restoring the outstanding simplicity and quality of original oil colours to paint formulas: that was the dream of painter and paint manufacturer Gianni Maimeri, though his dream would not take concrete form as paste in a tube until three generations later. By striving for simplicity and purity, and employing years of technical expertise, Maimeri’s company came up with formulas for the 80 colours in the Puro range one by one. Using the best-quality non-yellowing safflower-poppy seed oils and stable pigments that require no additives to produce a perfect impasto, Puro combines top quality, the perfect manufacturing process, and the correct balance between pigment and binder. 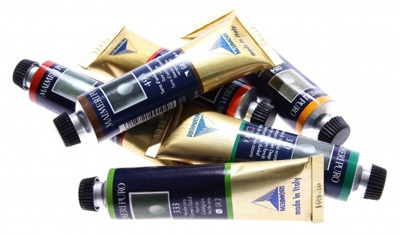 Squeeze a tube of Maimeri Puro, and you’re squeezing the very idea of oil colours.